Just your basic Kayak Paddle. Sturdy 20" x 6" plastic blades and a tempered aluminum shaft with drip rings. 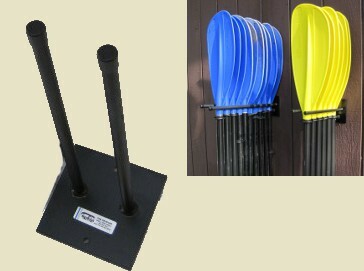 Pelican's Standard Lavika paddle is for sit inside OR sit-on-top kayaks. 2-piece design; Stows easily inside your kayak or vehicle. 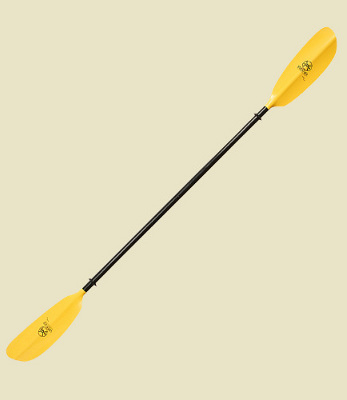 This Kayak Paddle has tough 20" x 6" plastic blades and a tempered aluminum shaft with drip rings. You can set up this paddle with straight OR offset blades. Good for sit inside kayaks OR sit-on-top kayaks. 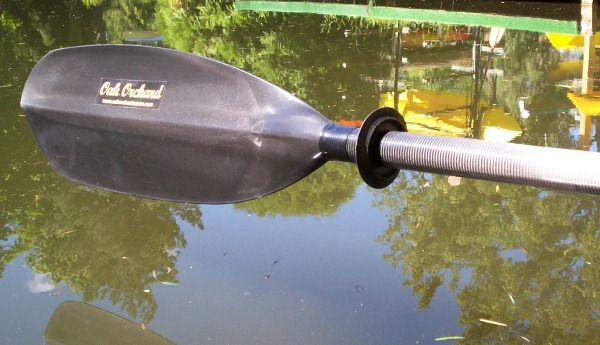 This Kayak Paddle has tough 20" x 6" plastic blades and a tempered aluminum shaft. Built-in retrieval hook on blade. 2-piece aluminum shaft with drip rings. Tape measure printed along shaft. 2-piece shaft design features a snug fitting and trouble free ferrule which offers 0° or 60° feather angles. Fiberglass/nylon blades are very rugged and maintenance free. The black anodized aluminum shaft is sturdy and light weight with good balance. Ovalized grips provide all day comfort. Rambler kayak paddle with black anodized aluminum shaft and black blades. Length; 220cm, 230cm, or 240cm. 2-piece shaft design features a snug fitting and trouble free ferrule which offers 0° or 60° feather angles. Fiberglass/nylon blades are very rugged and maintenance free. The fiberglass shaft is sturdy and light weight with good balance. Rambler with black fiberglass shaft, black OR yellow blades, as available. The FeatherLite has a sturdy 2-piece anodized aluminum shaft and fiberglass reinforced nylon blades. Our FeatherLite paddle is designed for those who don't want to work to hard when they paddle. We call it recreation-touring. FeatherLite's blade is about 10% smaller than our Rambler so it's just like going down a couple gears on your bike. A favorite of Paddlers who like to cruise along easily, so paddling does not seem like work. Less surface area also means less torque and strain on your wrists, elbows and shoulders. This paddle has everything you need in your favorite kayak paddle. 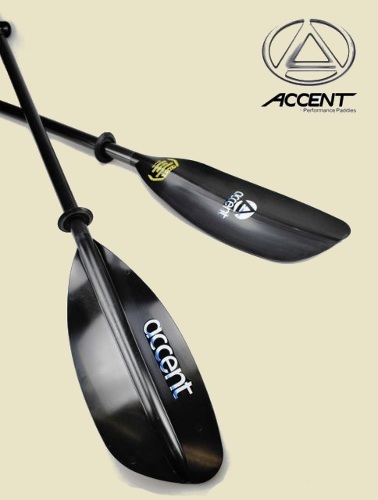 It's durable, light, and provides smooth flutter-free performance through your paddle stroke. 2pc. design adjusts from 0° (straight); or 60° (offset); feather angle. Mid-sized shaft. 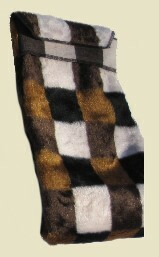 Length; 220cm, 230cm or 240cm. FeatherLite's blade is about 10% smaller than our Rambler so it's just like going down a couple gears on your bike. A favorite Paddlers who like to cruise along easily, so paddling does not seem like work. Less surface area also means less torque and strain on your wrists, elbows and shoulders. This paddle has everything you need in your favorite kayak paddle. 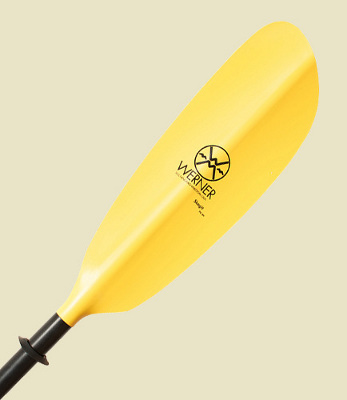 It's durable, light, and provides smooth flutter-free performance through your paddle stroke. The FeatherLite has a sturdy 2-piece carbon fiber shaft and tough carbon reinforced nylon blades. This paddle has everything you need in your favorite kayak paddle. This carbon FeatherLite is durable, very light, and provides smooth flutter-free performance. 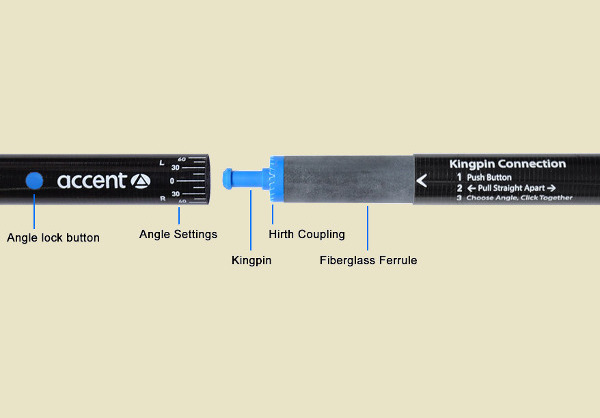 Our composite ferrule adjusts from 0° (straight); or 60° (offset); feather angle. FeatherLite paddle with black blades and charcoal grey carbon fiber shaft. The Osprey has a mid size blade for that perfect blend of power and smooth handling. There's plenty of surface area for quick maneuvering but not so much to make paddling seem like work. The Osprey covers a distance quietly and efficiently. 2-piece fiberglass shaft design is snug fitting and trouble free, fiberglass ferrule offers 0° or 60° feather angle. Osprey blades are rugged and maintenance free. Sturdy Fiberglass shaft is light weight and has excellent balance. You'll notice the Grip zone on our mid sized shaft is oval shaped for all day comfort and less hand fatigue. Osprey paddle with purple blades and black fiberglass shaft. Osprey paddle with black blades and black fiberglass shaft. The Osprey has mid size blades for that perfect blend of power and smooth handling. There's plenty of surface area for quick maneuvering but not so much to make paddling seem like work. The Osprey covers a distance quietly and efficiently. Carbon/nylon blades are rugged and maintenance free. Carbon shaft is light weight, sturdy and has excellent balance. Ovalized grips with a medium shaft diameter provide all day comfort. Osprey paddle with black blades and charcoal grey carbon fiber shaft. Choose 220cm, 230cm or 240cm Length. Great for touring, recreation, or day trips. ALL paddlers will enjoy this finely crafted Impression wood kayak paddle. BLADE; laminated butternut and basswood; 6.8" x 19"
You'll be amazed by the fine balance in your hands. The Bending Branches Navigator wood kayak paddle dares to combine high-tech materials with the natural beauty of red alder and roasted basswood. Navigator�s shaft is made of aviation-grade T-700 carbon, and its blades are hand-crafted of beautiful hardwoods. For added durability, the blades are wrapped in fiberglass and protected with a Rockgard edge around the blade. A Complete 4-piece Lendal paddle; straight carbon shaft with SwitchLok and carbon fiber Kinetik Tour CC blades. Kinetik Touring Series allows paddlers to choose the optimum blade size for thier height, weight and paddling style. This new Lendal blade series brings high performance paddling for all. The proven performance of Kinetik Touring, but in different blade sizes for those who do not need so much power or want lots of power. Kinetic blades are extremely efficient --you will travel farther for every stroke than with ordinary blades. Kinetik shape provides power, Cut-away throat allow for longer, more effective strokes. Kinetic blades are the perfect choice for the improving paddler striving for that next level of performance. Material: Carbon fiber blades, Lendal's CC is an excellent choice for a very light and very tough touring paddle that delivers great performance. Lendal Kinetik CC is extremely durable compared to other carbon touring paddles. This is the new WindSwift Paddle by Eddyline. 2-piece. Carbon fiber shaft with oval grips and translucent Fiberglass composite blades. The blade face is non-wetting and provides smoother movement through the water along with increased edge strength, minimizing the resin fracturing caused by rock impact. These are real sturdy blades, not yellow plastic with a little carbon dust sprinkled in like you see in the box stores. The Shaft is also real carbon fiber for the ultimate in strength to weight ratio and reliability. Either the Carbon or the Fiberglass paddles by Eddyline are stiff, light and durable; the difference is a bit of weight and the aesthetic appeal you appreciate. 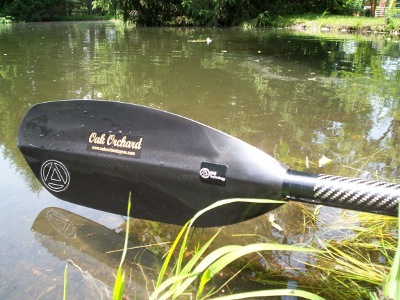 Our customers tell us they value their Eddyline paddles even more than their kayak. 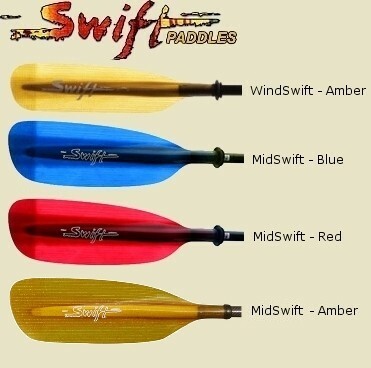 Wind Swift Blades: 18" x 5" - Small sized blades for those who want to move along with very minimal effort. Allows for good propulsion with a few more strokes per minute. Mid Fish or Mid Swift Blades: 18" x 6.25" - Mid sized blades for those who want some power, but not too much. Allows for good propulsion with moderate strokes per minute. Big Fish or Sea Swift Blades: 18" x 7.25" - Full sized blades for those who want a bit more power in their paddle stroke. Allows for good propulsion with less strokes per minute. 2 pc. Paddle: Our "Classic" ferrule -stainless Steel spring button allows for quick and easy paddle storage in two parts. Adjusts to 60 degrees right OR 60 degrees left OR un-feathered (straight). Since there are no plastic parts in our paddle connection you have more time on the water and less time in the repair shop. Proudly made in USA by Eddyline. Crafted one at a time so allow an extra 2 weeks for some size/color combinations. This is the new MidSwift Paddle by Eddyline. 2-piece. Carbon fiber shaft with oval grips and translucent Fiberglass composite blades. This is the new SeaSwift Paddle by Eddyline. 2-piece. Carbon fiber shaft with oval grips and translucent Fiberglass composite blades. This is the new CARBON FIBER Swift Paddle by Eddyline. 2-piece. Carbon fiber shaft with oval grips and Carbon fiber composite blades. The blade face is non-wetting and provides smoother movement through the water along with increased edge strength, minimizing the resin fracturing caused by rock impact. These are real carbon fiber blades, not black plastic with a little carbon dust sprinkled in like you see in the box stores. The Shaft is also real carbon fiber for the ultimate in strength to weight ratio and reliability. Wind Swift Blades: 18" x 5" - Small sized blades for those who want to move along with very minimal effort. Allows for good propulsion with a few more strokes per minute. Carbon fiber blades with jewel tone silver tracer accent in fabric, eddyline logo. Mid Swift Blades: 18" x 6.25" - Mid sized blades for those who want some power, but not too much. Allows for good propulsion with moderate strokes per minute. Carbon fiber blades with jewel tone silver tracer accent in fabric, eddyline logo. Sea Swift Blades: 18" x 7.25" - Full sized blades for those who want a bit more power in their paddle stroke. Allows for good propulsion with less strokes per minute. Carbon fiber blades with jewel tone silver tracer accent in fabric, eddyline logo. Our Youth paddle has a sturdy 2-piece silver anodized aluminum shaft and fiberglass reinforced nylon blades. Just the right shaft size and blade size for your little paddler. It's durable, light, and provides smooth flutter-free performance. We recommend the 190cm for kids in true youth sized kayaks. 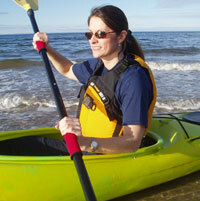 For kids using adult sized kayaks we recommend the 200cm length to reach out over the wider craft. Super Light Weight @ 29 oz. Rugged Aluminum shaft; ferrule adjusts from 0° (straight); or 60° (offset); feather angle. Durable Blades: 16" x 7"
Select 190cm or 200cm length. Shipping included to 48 states. 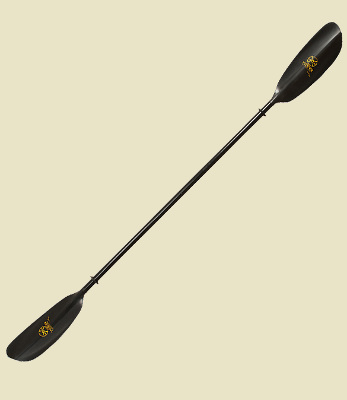 Our Junior paddle has a sturdy 2-piece black anodized aluminum shaft and fiberglass reinforced nylon blades. Just the right shaft size and blade size for your junior paddler. It's durable, light, and provides smooth flutter-free performance. This is a bit larger paddle than our "Youth" paddle but still smaller and lighter than adult sized gear. For junior paddlers using adult sized kayaks we recommend the 200cm length to reach out over the wider craft. 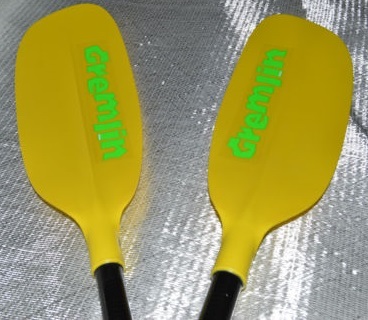 The Gremlin has a sturdy 2-piece fiberglass shaft and extra-tough fiberglass reinforced nylon blades. Just the right shaft size and blade size for your little paddler. It's super durable, very light, and provides smooth flutter-free performance for years of FUN paddling. Fiberglass ferrule allows 45° (offset); feather angle. The Black Magic is designed for someone who wants the ultra light weight of carbon fiber blades and yet the unmatched balance and feel of a finely crafted wood shaft. Superb craftsmanship and ultralight swing weight make it a joy to paddle with. The blades are built with laminated cedar and spruce and covered with cool black carbon fiber. These elements combine to reduce weight and increase durability. Available in 230cm length. One piece. Ships to 48 States Only. Tough Blades; epX Engineered Polymer with integral Hook retrieval system. Blade dims; 17.5" x 6.9" Surface area; 95 cubic inches. Includes a proven 2pc. design with a snap button connection with 0 or 60 degree right or left feather angle. Tough fiberglass reinforced Nylon blades with integral Hook retrieval system. Tough Carbon-Nylon blade; Light Weight. 2pc. design. Proven reliable, 2pc snap button connection with 0 or 60 degree feather angle, right or left feather angle. Choose Color: Lime Camo OR Brown Camo. 24 ounce Paddle... YES, that's right, 24 ounces. What happens when you take an award winning blade design and add some NASA technology? You get the AIR ...the ultimate touring paddle. The Air has an exceptionally light buoyant swing weight and silky smooth forward strokes that are greatly appreciated on long paddle outings. Blade Length & Width: 18" x 7"
FREE Shipping; shipping included to 48 States. What happens when you take the award winning blade design of the Camano and add some Carbon and foam core technology? You get the Kalliste ...the ultimate Low Angle touring paddle. With foam core blades, the Kalliste has an exceptionally light buoyant swing weight and silky smooth forward strokes that are greatly appreciated on long paddle outings. Blade length; 20.5" width; 6.5"
The Kalliste is the ultimate Low Angle touring paddle. With foam core blades, the Kalliste has an exceptionally light buoyant swing weight and silky smooth forward strokes that are greatly appreciated on long paddle outings. The Skagit FG-IM offers advanced blade design for smooth and stable stroke. Black fiberglass shaft is carbon reinforced. Yellow plastic blades are fiberglass reinforced. Patented Adjustable Ferrule System. 30 day warranty. The Skagit CF offers advanced blade design for smooth and stable stroke. Black fiberglass shaft is carbon reinforced. Black plastic blades are carbon reinforced. Get your hands onto a sweet Adventure Technology "AT" BENT shaft touring paddle, constructed from N6 Matrix fiberglass materials with polypro/fiberglass dihedral shaped blades that slice through water without flutter, and the 2-piece shaft makes travel or storage easy. Black N6 Matrix fiberglass shaft by Adventure Technology. Adjustable Length; 220cm size is Adjustable from 220cm to 225cm. Standard blades; 21" x 6.5"
Its a kayak paddle, its an adjustable SUP paddle, its a push and stake out pole. Which is it? It�s all of them. It also has a ruler system on the shaft for measuring your catch. 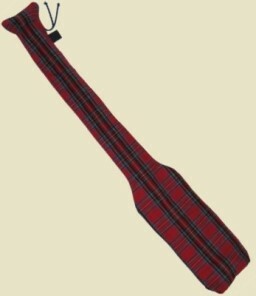 Check out our latest versatile paddle for the fisherman who wants everything in one product. 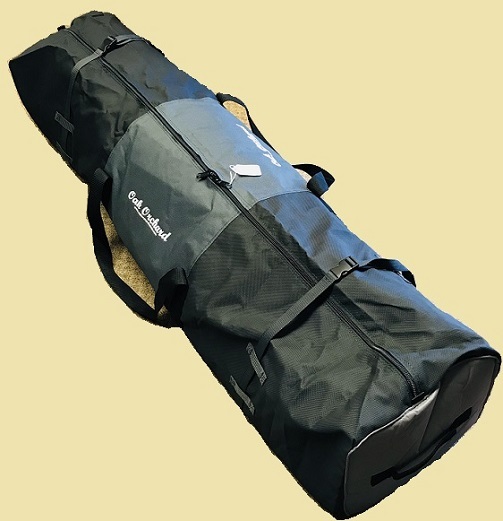 Great for the new stand-up capable Fishing Kayaks, Canoes or SUP Paddle Boards. Available with black blades only. 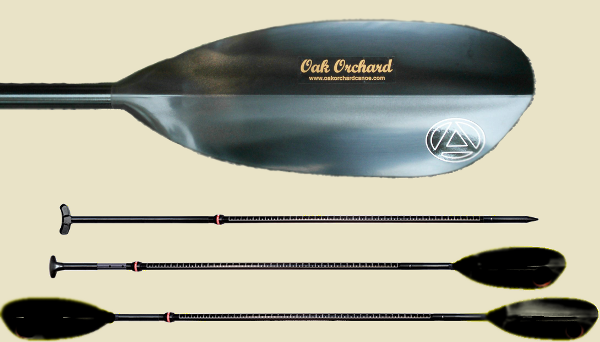 Blade size: 18" x 7.1"
240cm Kayak Paddle and 78" to 86" Adjustable SUP paddle. 275cm Kayak Paddle and 78" to 86" Adjustable SUP paddle. One complete paddle set (6 pieces). 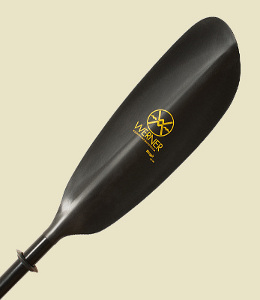 This paddle offers paddlers two options for their adventures. It's a 2pc. 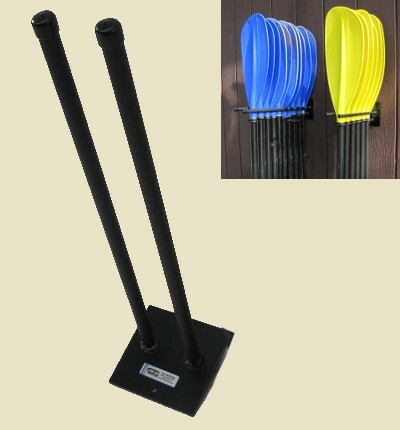 Double Blade paddle that can be converted into adjustable length single blade paddle Stand-up paddling. The shaft is a light and very sturdy fiberglass with a comfortable smooth feel. The blade and handle are interchanged using our base and clip operation. With a quick push of our clip you can go from kayak style to Stand-up style Paddling mode in seconds. Blade size: 17" x 7 ½"
72" to 80" Adjustable SUP and 225cm Kayak Paddle. 78" to 86" Adjustable SUP and 240cm Kayak Paddle. One complete paddle (3 pieces).